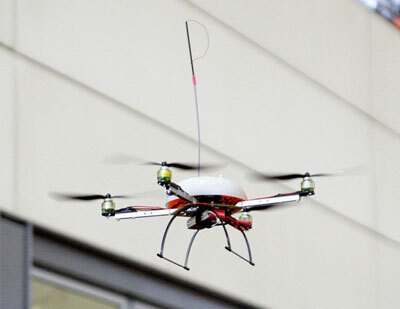 Flying Wifi Robots: Friend or Foe? Sure, the researchers may state they are intended for assistance in disasters… but these wifi network creating robots could just as easily be used to spread the reach of the dreaded Skynet! I have my doubts, but Engadget seems pretty sure that these robots have good intentions. Time shall tell! This entry was posted on Thursday, March 5th, 2009 at 8:23 pm	and is filed under News / Articles. You can follow any responses to this entry through the RSS 2.0 feed. You can leave a response, or trackback from your own site.